The Indo-Saracenic architecture combined the features of Hindu, Islamic and western elements. The colonial architecture exhibited itself through institutional, civic and utilitarian buildings such as post offices, railway stations, rest houses and government buildings. Such buildings began to be built in large numbers over the whole empire. Colonial architecture in India followed developments not only from metropolis but also took inspiration from existing architecture in India. In this program we have tried to incorporate as many as Colonial Heritage with some of the best heritage hotels fully equipped with all modern days’ facilities. Some of the most remarkable masterpieces are Victoria Terminus Railway station and Crowford Market of Mumbai, Victoria Memorial Hall and Calcutta Post Office. Some of the building s where the style of Taj Mahal was emulate like St John’s college of Agra and the Madras High Court. Upon arrival meet by our assistance at the airport or railway station and transfer to the Hotel. Later after wash n change you will be proceeding for sightseeing of Akshardham Temple. 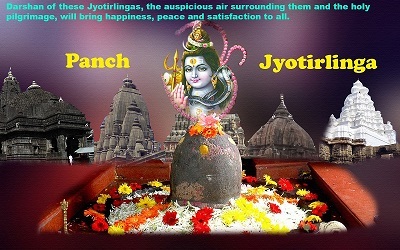 The complex displays millennia of traditional Hindu and Indian culture, spirituality, and architecture and World’s largest Comprehensive Hindu Temple. Also do not miss the evening cultural boat ride where you sail through the 10000 years of India’s glorious heritage. Later return to the hotel and overnight at hotel. After breakfast drive proceed for full day sightseeing tour of Colonial Heritage Tour along with Mughal monuments tours. Visit to Qutab Minar the tallest free standing Minaret soaring 73 m high built in 1193 AD by Qutab-Ud Aibak immediately after the defeat of last Hindu King. Later visit to Humayun Tomb is the first Garden tomb and finest example of Mughal Architecture in India. Later continue your sightseeing and visit to India Gate at the center of Delhi it commemorates the 70,000 Indian Soldiers who lost their lives fighting for the British Army during the World War I, by pass Parliament House is a circular colonnaded building conceived in Imperial Style the domed circular central hall are used for Rajya Sabha and Lok Sabha. Also sightseeing of Presidential Palace, Raj Ghat. Later in the evening visit to Dilli Haat it provides the ambience of a traditional rural Haat or village market where one can buy the authentic rural handicrafts and also savours the flavours of around the country. Overnight at hotel. Early morning transfer to New Delhi Railway station to board the Train to Kalka. Upon arrival board the toy train Himalayan Queen for Shimla. The route offers a panoramic feast of the picturesque Himalayas from the Shivalik foothills of Kalka to the Himalayas of Shimla. Upon arrival transfer to the Hotel. Overnight at hotel. After breakfast today you will proceed for full day sightseeing visit to Shimla Christ Church the oldest Church of North India, Rastrapati Niwas, Chail Palace, Kufri, The ridge & The Mall. Overnight at Hotel. After breakfast transfer to Shimla Railway station. Board the Toy Train reached Kalka. Upon arrival board the Shatabdi Train to New Delhi. Upon arrival transfer to the hotel check in and overnight at hotel. After breakfast drive to Agra. Upon arrival Hotel check in. Later proceed for sightseeing of Taj Mahal and Agra Fort both of Mughal architecture marvel. The Taj Mahal is simply wow built by using white marble it’s listed in one of the 7th wonders of the world. Agra Fort was actually a walled city and is huge Fort architectural glitters of Mughal. Later free time for shopping of precious or semi-precious stones. Overnight at Hotel. After breakfast drive to Jaipur en route visit to Fatehpur Skri a complete well planned city envisaged by Emperor Akbar built to honour the Sufi Saint Sheikh Salim Chisthi who resided here. Later the city was abandoned due to water scarcity. Continue your drive to reach Jaipur. Upon arrival Hotel check in. Overnight at hotel. After breakfast proceed for day sightseeing tour beginning with Amer Fort/Amber Fort is a Huge Fort located high on a hill which lies at a distance of 11 kms from Jaipur Center. It’s architect is the blend of Hindu and Rajput Element built by Raja Man Singh I in 1592 he was one of the ratna (gems) among nine (Nav) of Emperor Akbar. The fort consist of many palaces some of the main among them are Deewan-E-Aam and Deewan-E-Khaas, Sukh Niwas and Sheesh Mahal or (Mirror Palace). Later proceed to Jaipur and visit to City Palace the royal palace residence still a part of which is owned by them. Jantar Mantar th most amazing astronomical observatory built about 300 yrs ago still works and gives the most accurate calculations. By Pass Pink Baazar of Jaipur and sightseeing of Hawa Mahal or the “the Palace of Winds”. Also visit to Albert Hall Museums. Overnight at Hotel. Early morning transfer to the airport for flight to Mumbai. Upon arrival at Mumbai airport transfer to the hotel. 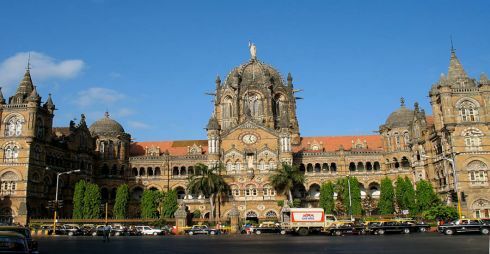 Later proceed for sightseeing of Mumbai covering Crowford Market, Victoria Terminus or Shivaji Terminus the perfect example of Colonial Gothic revival style. With this visit to The Gateway of India, Marine Drive and Hanging Garden. Overnight at hotel. After breakfast excursion tour of Elephanta Caves located offshore The Gateway of India later free time. In the late evening transfer to the Mumbai VCT for train to Goa. Overnight at Train. Arrival at Goa Madgaon Railway station. Upon arrival meet and transfer to the hotel. Rest of the day to relax at the beach. After breakfast leave for South Goa sightseeing visit to Churches, Beaches and temples. Overnight at hotel. After breakfast leave for North Goa sightseeing visit to Churches, Beaches and temples. Overnight at hotel. After breakfast free time till departure transfer to Madgaon Railway station to board the train to Cochin. Upon arrival transfer to the hotel check in and later proceed for half day sightseeing covering Chinese Fishing Net, Fort Cochin- one can feel the possession of Portuguese, British and Dutch by just walking here the region bears the influence of European Architecture, Bolgaty Palace- The appeal of the palace lies in the fact that it is among the oldest existing palaces built by the Dutch in India, during the pre-British times. Mattancherry palace, marine Drive a beautiful promenade & Jewish Synagogue the oldest Synagogue in the Common Wealth of nations. Overnight at hotel. After breakfast beautiful scenic drive to Munnar. Upon arrival hotel check in and visit to tea estate. Once the summer resort of the erstwhile British Government in South India. Sprawling tea plantations, picture-book towns, winding lanes and holiday facilities make this a popular resort town. Among the exotic flora found in the forests and grasslands here is the Neelakurinji. This flower which bathes the hills in blue once in every twelve years, will bloom next in 2018. Overnight at hotel. After breakfast proceed for day sightseeing of in and around Munnar. Visit to Eravikulam National Park famous for its endangered inhabitant –the Nilgiri Thar, Anmudi Peak the highest peak in south India standing at a height of 2700 mtrs. Mattupetty Dam located at a distance of 13 kms a picturesque spot. Overnight at Hotel. After breakfast drive to Kumarakom the backwater town and famous for Kumarakom Bird Sanctuary. Arrive check in and proceed to Bird Sanctuary. Later free time for Ayurvedic Massage experience using the original herbs of Kerala. Overnight at resort. After breakfast check out and board the traditional houseboat which was actually used as a means of transportation. Now converted into luxury floating villa well equipped with all luxury amenities is must to be experienced. Dinner and overnight at Houseboat. After breakfast in houseboat disembark and transfer to Cochin for onward flights. · Women should avoid wearing revealing clothes . In general, both men and women should wear light pastel shades. · Do not forget to carry sun blocks lotions, hats/caps, and goggles as it can get extremely hot in North India except Shimla. The coastal belt of Mumbai, Cochin and Alleppey are relatively warm and Munnar will be having Pleasant climate even during summer. · People who are likely to get heat stroke quickly should be cautious as Jaipur, New Delhi and Agra is a hot and dry region. Hence, it is advisable to use hats or head scarves to make one’s trip free from headaches.